Patricia Urquiola studied architecture and design at Madrid Polytechnic and Milan Polytechnic, graduating with Achille Castiglioni. 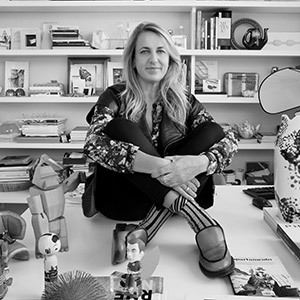 She worked with Vico Magistretti and later head of design at Lissoni Associati, She has received the Gold Medal of the Arts and the Order of Isabel the Catholic by His Majesty The King of Spain Juan Carlos I. Her work is displayed in various museums and collections, such as MoMA in New York, Musée des Arts decoratifs in Paris, the Museum of Design in Munich, the Vitra Design Museum in Basel, The Design Museum in London, the Victoria & Albert Museum in London, the Stedelijk in Amsterdam and the Triennale Museum in Milan. She is the Art Director for Cassina.